Duck in Flight Lucky catch of a duck in flight. 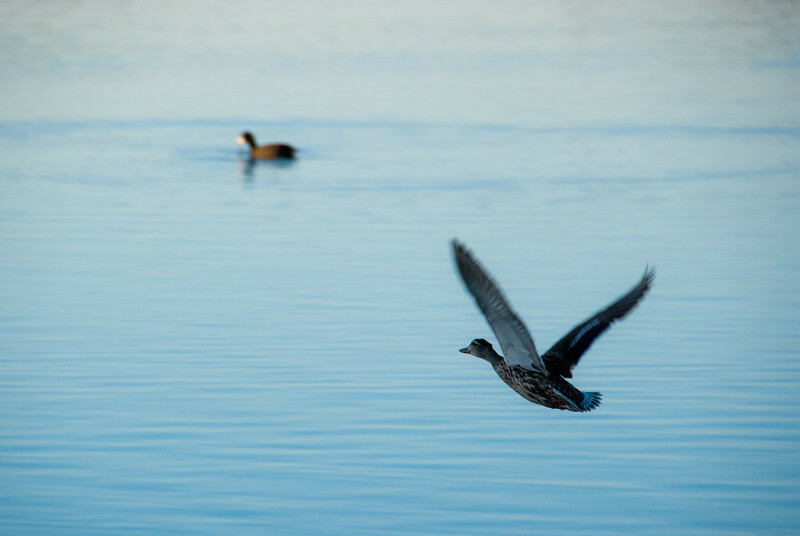 I like how it came out sharp and in shadow, while the duck in the background is in the sun. Like I said... lucky.